There’s no shortage of motoring anniversaries being celebrated in 2019, with some much-loved classic models – as well as major manufacturers – marking big birthdays this year. We’ve picked ten of the most significant... but which one will you be celebrating? BMC’s new Mini created a buzz in 1959 thanks to its innovative design, with an astonishing amount of space crammed into its 10-feet-long bodywork – aided by front-wheel drive and a transversely-mounted engine. 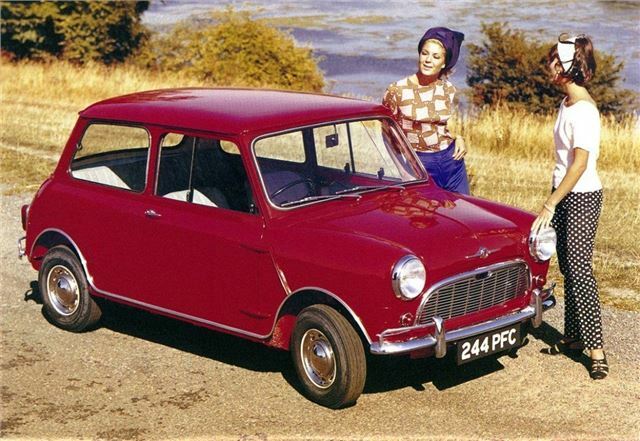 The original Mini went on to become a fashion icon of the ’60s, and remained in production for a remarkable 41 years. The marque is still with us, of course, although no longer is it aimed at the ‘cheap and cheerful’ city car market. As for the classics of 1959-2000, they remain as popular as ever – with plenty of 60th anniversary celebrations being planned for 2019.